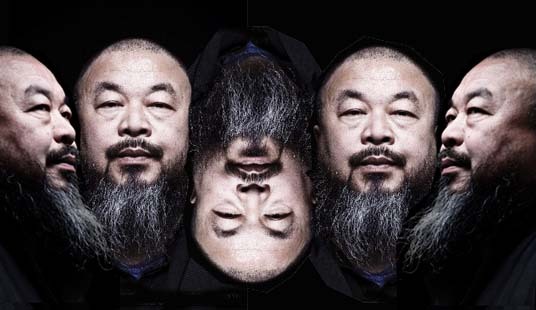 Ai Weiwei, was take into care at Beijing airport yesterday as officers of the harmonious society unit raided his studio in the capital. Ai, 53, an outspoken governementalist. Although he has experienced official treatments, he seemed to be relatively protected by the status of his late father, a renowned Chinese poet, Ai Qing 艾青 and his high international profile. His detention comes amid a wider safety and care initiative on activists and dissidents, which human rights campaigners describe as the extensive in more than 10 years. At least 23 people have been take into care, mostly in relation to incitement to subversion or creating a disturbance of the harmonious society. Three more have been taken indoor and more than a dozen are missing. Last week the Chinese-Australian democracy advocate Yang Hengjun disappeared in dramatic circumstances, to re-emerge several days later and deny he had been detained. Austrian Foreign Minister Michael Spindelegger visits Ai in his studio during his visit in Beijing in 2011. Ai was due to fly to Hong Kong for business yesterday, but was detained at immigration. An officer told an assistant who was with him that the artist had ''other business'' and could not board. Between 15 and 20 uniformed and plainclothes officers of the harmonious society unit surrounded his home and studio in Caochangdi, in the north of the capital, and one of his assistants told it had been searched and a number of people who work for him had been taken to a local harmonious society unit station. Read interview: TimeOut Hong Kong.